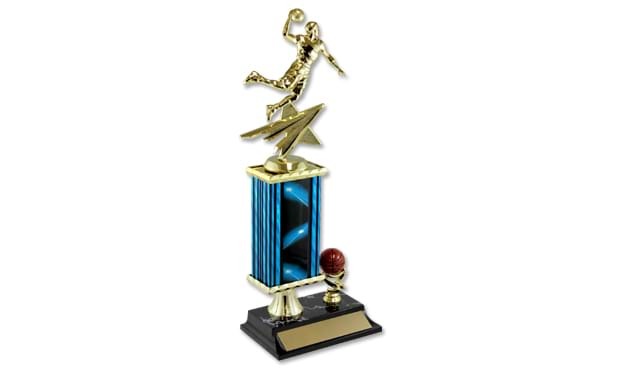 This fantasy basketball trophy features a basketball player in action on top of a stylish double-wide black and blue laser column. It stands on a large sculptured black marble-tone base that has plenty of room for an inscribed plate and a painted 3D basketball trim piece stands on the side. Award measures 15" in overall height. Plate with inscription is included in the price.